Youth with Disabilities Forum, in partnership with Secons – group for Development Initiative and Serbian center for persons with disabilities independent life (CILS), in cooperation with the National Employment Service, realizes the project “Platform for trade union organizing of people with disabilities”, with the financial support of the EU Delegation to Serbia. 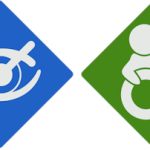 The aim of the project is contribution to the development of persons with disabilities rights in the labor process, through the development of innovative platform for monitoring the policy of persons with disabilities employment. After conducting an extensive research on the process of employment of persons with disabilities on representative sample of employees with disabilities, the unemployed ones and employers, the indicators for monitoring the situation of persons with disabilities in the labor market were defined. Association for the protection of persons with disabilities labor rights resulted from this project was founded in Belgrade on 30.09.2013. with the aim of achieving persons with disabilities labor rights, as well as protecting and enforcing their labor-based work. The three-day educational program on strengthening the capacity of local actors in the monitoring of employment and protection of persons with disabilities labor rights is intended for all organizations and individuals who are committed to improving the situation of persons with disabilities. The program will enable the acquisition of knowledge in the areas of monitoring the position of persons with disabilities in the labor market at the local level. Participants will, among other things, master practical skills for monitoring employment of people with disabilities, and the results of this research and realistic guidelines for undertaking specific initiatives and actions will be presented to them. Program in Belgrade will last from 27th to 29th November, in Novi Sad from 4th to 6th December, in Nis from 23rd to 25th December. A detailed agenda will be delivered later. Accommodation on a full board basis, as well as the additional costs of transport, is provided for all the participants outside the specified cities by Youth with Disabilities Forum. Please confirm your participation by e-mail on office@fmi.rs. Deadline is 22nd November for Belgrade, 26th November for Novi Sad and 16th December for Nis.